Better than previous A4 in virtually every respect. Classy looks, plenty of kit, roomy cabin and a good crash safety rating. Not cheap to fix if something goes wrong. Multitronic transmission can give trouble. Looking like a miniature version of the A6 that went on sale in the late 1990s, the B6 generation Audi A4 was a classy-looking car. But not only did it look good, it also handled neatly. 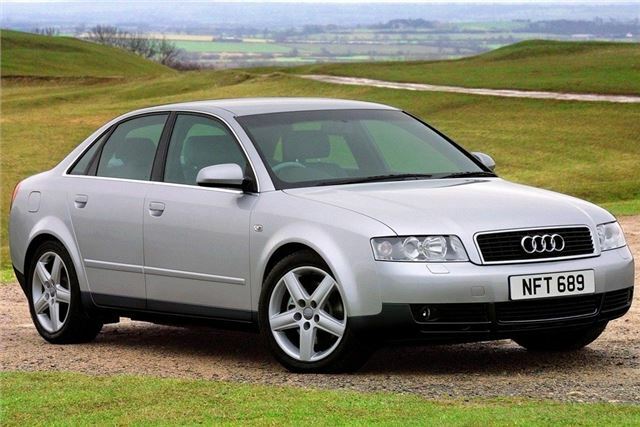 And with a excellent engine line-up, the A4 was ready to take the fight to the BMW 3-series and the Mercedes C-class. Indeed, this model is really the starting point for the car’s dominance in the UK executive market. Diesel was a crucial part of gaining that foothold. Using the Volkswagen Group’s Pump Duse technology, Audi was able to offer company car drivers decent performance, strong fuel economy, and good emissions – a win as the then new company car tax was based on a combination of CO2 emissions as a percentage of list price. All of this was wrapped up in a premium package that offered a real alternative to BMWs (whose drivers were getting an increasingly bad reputation) and Mercedes (which seemed to have gone off the boil in terms of design and performance).